- CHIKARA A Sandwich Called Destiny (October 12, '02) = The Wildcards (Kingston & BlackJack Marciano) defeated The Senior Assault Team (Lester Crabtree & Melvin Snodgrass). - CHIKARA Eighth Show (October 26, '02) = The Wildcards & Hallowicked fell to Mike Quackenbush, Love Bug, & UltraMantis. - CHIKARA Young Lions Cup I, Night One (November 9, '02) = Kingston lost to UltraMantis in the first round of the Young Lions Cup Tournament. Hallowicked won the tournament. - CHIKARA Young Lions Cup I, Night Two (November 16, '02) = In a non-tournament match, The Wildcards, Blind Rage, & Jigsaw lost an "Eight-Man Three Falls" Match to Mike Quackenbush, DJ Skittlez, Ichabod Slayne, & Love Bug. - CHIKARA Eleventh Show (November 23, '02) = The Wildcards & Mitch Ryder won an "Elimination" Match over Mike Quackenbush, Melvin Snodgrass, & UltraMantis. - CHIKARA Twelfth Show (December 7, '02) = The Wildcards & Mister ZERO lost a "Trios" Match to UltraMantis & The Senior Assault Team. - CHIKARA Thirteenth Show (March 8, '03) = The Wildcards & Jigsaw fell to Mike Quackenbush, Mister ZERO, & UltraMantis. - CHIKARA Fourteenth Show (March 23, '03) = Kingston competed in a "Double Jeopardy Battle Royal", which was won by Mister ZERO and UltraMantis. Later on, Kingston defeated Private Eye. - CHIKARA Fifteenth Show (April 5, '03) = Kingston took down UltraMantis. - CHIKARA Sixteenth Show (April 12, '03) = The Wildcards & Rorschach were beaten by Gran Akuma, Mike Quackenbush, & Mister ZERO. - CHIKARA Seventeeth Show (April 12, '03) = The Wildcards & Rorschach lost to Mike Quackenbush, Mister ZERO, & UltraMantis. - CHIKARA Eighteenth Show (May 10, '03) = The Wildcards fought to a Double Disqualification with The Senior Assault Team. - CHIKARA Aniversario (May 23, '03) = The Wildcards, The Conundrum, & Hallowicked fell to Gran Akuma, Mike Quackenbush, Mister ZERO, Icarus, & UltraMantis. - CHIKARA You Be The Booker! (June 23, '03) = The Wildcards won an "I Quit" Match over Mister ZERO & UltraMantis. - CHIKARA Tag World Grand Prix '03 (July 5) = The Wildcards defeated Team Kiryoku Pro (Mercedes Martinez & Sumie Sakai), then fell to UltraZero in the Tag World Grand Prix Tournament. The Night Shift (Blind Rage & Hallowicked) won the tournament. - CHIKARA Twenty-Fourth Show (September 27, '03) = The Wildcards & Jigsaw were beaten by Mike Quackenbush & Team F.I.S.T. - CHIKARA International Invasion Of The International Invaders (October 18, '03) = The Wildcards won a "No Disqualification" Match over Team F.I.S.T. - CZW Extreme Overdrive (March 6, '04) = The Wildcards & Hallowicked beat Gran Akuma, Mike Quackenbush, & Icarus. - CHIKARA Kids Eat Free On Tuesdays (March 20, '04) = The Wildcards & Hallowicked lost an "Elimination" Match, via DQ, to Mike Quackenbush & F.I.S.T. - CZW In Da Club (April 2, '04) = The Wildcards, Jigsaw, & Hallowicked fell to Gran Akuma, Mike Quackenbush, Icarus, & Ultramantis. - CZW Retribution (April 3, '04) = The Wildcards, Hallowicked, & Ultramantis were beaten by Gran Akuma, Mike Quackenbush, Icarus, & Mr. Zero. - CHIKARA Pick Up Or Delivery (April 9, '04) = The Wildcards won a "No Disqualification" Match over F.I.S.T. - CHIKARA Aniversario 3: Dodging The Sophomore Jinx (May 22, '04) = The Wildcards & Jigsaw lost an "Ultimate Jeopardy Tag-Team" Match to Mike Quackenbush & F.I.S.T. Due to Kingston taking the pin, The Wildcards both had their heads shaved. - CHIKARA Young Lion's Cup II, Night One (July 10, '04) = Kingston beat Jolly Roger in the first round of the Young Lion's Cup Tournament. - CHIKARA Young Lion's Cup II, Night Two (July 11, '04) = Kingston fell to BlackJack Marciano in the quarter-finals of the Young Lion's Cup Tournament. Larry Sweeney won the tournament. - IWC Showdown In Turkey Town III (July 17, '04) = The Wildcards lost to the IWC Tag-Team Champions, Southern Comfort. - IWC Summer Sizzler '04 (August 13) = The Wildcards defeated the Ring Crew Express. - CZW Possession (August 14, '04) = Blackout (King, Ruckus, & Sabian) won a "Tables" Match over Chri$ Ca$h & the H8 Club (Gage & Hatred). - CHIKARA Retribution Rumble Of Revenge And Rumble To Remember (August 27, '04) = Kingston defeated Chris Hero. - IWC Erie Explosion: The Curse Has Been Lifted (August 28, '04) = The Wildcards beat the Gambino Brothers Moving Company. - CHIKARA 77 (September 24, '04) = The Wildcards retained the IWA Mid-South Tag-Team Titles, defeating Men At Work. - CHIKARA Beware Of Barely Badd Blasts And/Or Blood Brawls On The Beach (September 25, '04) = The Wildcards stayed the IWA Mid-South Tag-Team Champions, beating All Money Is Legal. - IWC The Bar Has Been Raised (October 3, '04) = The Wildcards again took down the Gambino Brothers Moving Company. - CZW Breaking Point: Let The Chaos Begin (October 9, '04) = Kingston defeated Nate Webb. - CHIKARA More Songs About Buildings And Food (October 29, '04) = The Wildcards kept the IWA Mid-South Tag-Team Titles, winning over F.I.S.T. - CHIKARA The Cibernetico Cometh (October 30, '04) = The Wildcards retained the IWA Mid-South Tag-Team Titles, beating BLK OUT (Joker & Sabian). - IWC Youth Gone Wild (November 6, '04) = The Wildcards fell to the Gambino Brothers. - IWC Accept No Limitations (November 13, '04) = The Wildcards & Shiima Xion defeated Jason Gory & the Gambino Brothers. - CZW Night of Infamy III (November 14, '04) = Kingston, Maven Bentley, Robby Merino, Ruckus, & Sabian won over JC Bailey, Chri$ Ca$h, Nate Webb, & Joker. - CHIKARA Fear Of Music (November 19, '04) = The Wildcards defended the IWA Mid-South Tag-Team belts, taking down The SuperFriends (Chris Hero & Mike Quackenbush). - CHIKARA In Memory Of Adam Mills... (November 20, '04) = Kingston defeated Shane Storm. - CZW Cage of Death VI (December 11, '04) = Team BLK OUT (Kingston, Jack Evans, Ruckus, & Sabian) lost a "Cage of Death" Match to Team Ca$h (Chri$ Ca$h, JC Bailey, Sexxy Eddy, & Nate Webb). Due to the loss, Team Ca$h won away the CZW Tag-Team Titles. - CZW GenZ: The Transfusion (January 8, '05) = BLK OUT (Kingston, Ruckus, & Sabian) beat Ghost Shadow, Heretic, & Spyral. - CZW Only The Strong: Scarred For Life (February 5, '05) = BLK OUT (Kingston & Sabian) took down Excalibur & Super Dragon. - CHIKARA Tag World Grand Prix '05, Night Two (February 19) = Kingston & Mickie Knuckles lost in the first round of the Tag World Grand Prix Tournament to The SuperFriends. Arik Cannon & Claudio Castagnoli won the tournament. - CHIKARA Tag World Grand Prix '05, Night Three (February 20) = In a non-tournament match, Team CZW (Kingston, Jon Dahmer, & DJ Hyde) fell to Allison Danger & Team IWA Mid South (Danny Daniels & Jimmy Jacobs). 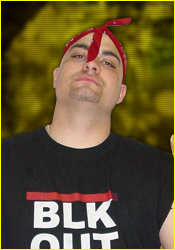 - CZW Liberated (March 12, '05) = BLK OUT (Kingston & Sabian) fell to John Dahmer & DJ Hyde. - CZW Trifecta Challenge III (April 2, '05) = Kingston lost to Sexxy Eddy. - CZW Best of the Best V (May 14, '05) = BLK OUT (Kingston & Ruckus) were beaten by Sexxy Eddy & Nate Webb. - CZW Violent By Design (June 11, '05) = Kingston was pinned by Chris Hero. - IWC Caged Fury II (July 1, '05) = Kingston lost to the IWC Heavyweight Champion, Shirley Doe. - CZW High Stakes 3 (July 9, '05) = BLK OUT (Kingston, Ruckus, & Sabian) defeated Sexxy Eddy, Nate Webb, & B-Boy. - IWC No Excuses (July 19, '05) = Kingston lost to the IWC Heavyweight Champion, Shirley Doe. - CHIKARA Young Lions Cup III, Night Three (July 24, '05) = In a non-tournament match, Kingston, Mike Quackenbush, Equinox, & Sabian defeated Gran Akuma & The Kings of Wrestling (Arik Cannon, Claudio Castangoli, & Chris Hero). - CZW Tournament of Death IV (July 30, '05) = BLK OUT (Kingston & Robby Mireno) lost a "Fans Bring The Weapons Handicap" Match to John Zandig. Necro Butcher won the tournament. - CZW Deja Vu 3: Wired (August 13, '05) = BLK OUT (Kingston & Sabian) took down Jon Dahmer & DJ Hyde. - CHIKARA Negative Balance (August 13, '05) = Kingston was beaten by Chris Hero. - CZW Chri$ Ca$h Memorial Show (September 10, '05) = Kingston & B-Boy won over Adam Flash & the Messiah. - CHIKARA Son Of The International Invasion Of The International Invaders - First Stage (September 16, '05) = Kingston lost to Gran Akuma. - CZW Point of No Return (October 8, '05) = Kingston defeated Gran Akuma. - CHIKARA Little Creatures (October 21, '05) = Kingston beat Rorschach. - CHIKARA The Cibernetico Returneth (October 22, '05) = Kingston competed in the "Torneo Cibernetico" Match, which was won by Gran Akuma. - IWC Revengence II (October 29, '05) = Kingston fell to Chris Hero. - CZW Night of Infamy IV (November 12, '05) = Kingston lost a "Last Man Standing" Match to Chris Hero. - CHIKARA Running In The Red (November 13, '05) = BLK OUT (Kingston & Sabian) took down Up In Smoke. - CZW Cage of Death VII (December 10, '05) = BLK OUT (Kingston & Sabian) lost to the CZW Tag-Team Champions, Claudio Castagnoli & Chris Hero. - CZW Afternoon of Main Events (January 14, '06) = BLK OUT (Kingston, Ruckus, & Sabian) won over Claudio Castagnoli, Chris Hero, & Super Dragon. - CZW Seven Years Strong: Settle The Score (February 11, '06) = BLK OUT (Kingston & Joker) won the CZW Tag-Team Titles, beating Claudio Castagnoli & Chris Hero. - CHIKARA Tag World Grand Prix '06, Night One (February 24) = BLK OUT (Kingston & Sabian) took down Team IWA-MS (Mickie Knuckles & Ian Rotten) and Necro Butcher & Joker in the first two rounds of the Tag World Grand Prix Tournament. - CHIKARA Tag World Grand Prix '06, Night Three (February 26) = BLK OUT (Kingston & Sabian) lost to F.I.S.T. in the quarter-finals of the Tag World Grand Prix Tournament. The Kings of Wrestling (Claudio Castagnoli & Chris Hero) won the tournament. - CZW When 2 Worlds Collide (March 11, '06) = BLK OUT (Kingston & Ruckus) & Necro Butcher, representing CZW, lost to the RoH faction Generation Next (Austin Aries, Roderick Strong, & Matt Sydal). - CHIKARA Naked (March 31, '06) = BLK OUT (Kingston & Joker) retained the CZW World Tag-Team Titles, beating Up In Smoke. - CZW Any Questions? (April 15, '06) = BLK OUT (Kingston, Joker, Ruckus, & Sabian) took down Christopher Bishop, Lionel Knight, & the H8 Club (Gage & Pain). - CHIKARA Sand In The Vaseline (April 21, '06) = BLK OUT (Kingston & Sabian) took down 2.0. - CHIKARA Apocalypso (April 23, '06) = Kingston beat Dr Cheung. - CZW Best of the Best VI (May 13, '06) = BLK OUT (Kingston & Joker) kept the CZW Tag-Team Titles, beating Necro Butcher & Super Dragon. - CHIKARA Aniversario Delta (May 26, '06) = Kingston lost a "Young Lions Cup IV Qualifying" Match to Arik Cannon. - CHIKARA Aniversario Epsilon (May 27, '06) = Kingston & Shinsuke Yamagasa defeated The North Star Express. - CZW Strictly CZW (June 10, '06) = BLK OUT (Kingston, Joker, Ruckus, & Sabian) fought to a No-Contest with the Forefathers of CZW (John Zandig, Lobo, & the H8 Club). - CHIKARA Young Lions Cup IV, Night Three (June 25, '06) = Kingston lost, via DQ, to the ICW/ICWA Texarkana Television Champion, Larry Sweeney. - CZW A Prelude To Violence (July 8, '06) = Kingston fell to Claudio Castagnoli. - CHIKARA The Crushing Weight Of Mainstream Ignorance (July 22, '06) = Kingston won the ICW/ICWA Texarkana Television Title, beating Larry Sweeney. - CZW Trapped (August 12, '06) = Kingston & the H8 Club (Gage & Pain) won an "All Out War Cage" Match over BLK OUT (Robby Mireno, Joker, Ruckus, & Sabian) and the Canadians (Kevin Steen, Frankie the Mobster, El Generico, & LuFisto). - CHIKARA Return Of The Son Of The International Invasion Of The International Invaders - Second Stage (August 20, '06) = Kingston, as the ICW/ICWA Texarkana Television Champion, fought to a Double Countout with Larry Sweeney. This was the match that ended with Sweeney running over Kingston with a car in the parking lot. - CZW 2nd Annual Chri$ Ca$h Memorial Show (September 9, '06) = Kingston won the CZW World Heavyweight Title, defeating Chris Hero. - CHIKARA Once In A Lifetime (September 22, '06) = Kingston lost a "Handicap" Match to Larry Sweeney & Daizee Haze. - CZW Last Team Standing (October 14, '06) = Kingston retained the CZW World Title, beating Necro Butcher. - CHIKARA Cibernetico Forever (October 28, '06) = Kingston competed in the "Torneo Cibernetico" Match, which was won by Icarus. - CZW Night of Infamy V (November 11, '06) = Kingston kept the CZW World Heavyweight Championship, taking down Justice Pain. - CHIKARA From Zero To Hero (And Castagnoli) (November 12, '06) = Kingston, Mike Quackenbush, & Shane Storm beat The Kings of Wrestling (Claudio Castangoli, Chris Hero, & Larry Sweeney). - CHIKARA Brick (November 17, '06) = Kingston fell to Chuck Taylor. - CHIKARA Talent Borrows, Genius Steals (November 18, '06) = Kingston won a "No Disqualification Strap" Match over Larry Sweeney. - CZW Cage of Death 8 (December 9, '06) = Kingston lost the CZW World Heavyweight Title, losing a "Triple Threat Elimination" Match to Justice Pain. Chris Hero was the other participant. This was the match that Kingston legitly broke his ankle on a backdrop. - CZW Redemption (March 10, '07) = Kingston defeated Hydra. Later on, Kingston fought to a No-Contest with Dave Greco, then was forced to tap out to Jon Dahmer. - CZW Out With The Old, In With The New (April 7, '07) = Kingston won a "Loser Leaves CZW" Match over Chris Hero. However, after the match, Kingston flipped off Hero and walked away from John Zandig, prompting Zandig to fire him. - IWC Throw Down Stay Down (April 14, '07) = Kingston fell to Dennis Gregory. - RoH Death Before Dishonor V, Night Two (August 11, '07) = In a dark match, Kingston lost a "Four Corner Survival" Match to Shane Hagadorn. Alex Payne and Rhett Titus were the other participants. - IWA Mid-South Ted Petty Inventational Tournament '07 (September) = Kingston lost in the first round to the Human Tornado. Mike Quackenbush won the tournament. - PWG The High Cost Of Doing Business (November 11, '07) = Kingston lost a "Three Way" Match, via DQ, to Chris Hero. The Human Tornado was the other participant. - PWG All-Star Weekend VI, Night 1 (January 5, '08) = Kingston, Claudio Castagnoli, & Human Tornado won over Chris Hero, Necro Butcher, & Candice LeRae. - PWG All-Star Weekend VI, Night 2 (January 6, '08) = Kingston fell to Chris Hero. - CZW New Years Resolutions (January 12, '08) = Kingston lost a "Six Man Ultraviolent Rules" Match to the CZW World Heavyweight Champion, Nick Gage. Danny Havoc, Devon Moore, Drake Younger, and Ruckus were the other participants. - PWG Scared Straight (March 7, '08) = Kingston defeated Necro Butcher. - CHIKARA Best Imitation Of Myself (March 23, '07) = Kingston fell to Claudio Castagnoli. - CHIKARA Time Will Prove Everything! (March 24, '07) = BLK OUT (Kingston, Joker, Ruckus, & Sabian) were beaten by Hallowicked & The Colony (Fire Ant, Soldier Ant, & Worker Ant). - CHIKARA Rey De Voladores (April 22, '07) = Kingston fought to a No-Contest with Hallowicked. - CHIKARA Anniversario? (May 26, '07) = Kingston lost, via DQ, to Hallowicked. - CHIKARA Anniversario! (May 27, '07) = BLK OUT (Kingston & Ruckus) fell to Incoherence (Delirious & Hallowicked). - RoH Respect Is Earned II (June 7, '08) = Kingston fell to Jigsaw. - CHIKARA Showdown In CrisisLand! (July 21, '07) = Kingston defeated Tim Donst. - CHIKARA Maximum Overdraft (August 5, '07) = Kingston lost, via DQ, to Ricochet. - CHIKARA Here Comes The International Invaders: First Stage - Attack Of The Phantom Shift (August 17, '07) = Kingston took down Brute Issei. - PWG All-Star Weekend 7, Night 1 (August 30, '08) = Kingston lost a "Four Way" Match to the PWG World Heavyweight Champion, Chris Hero. Necro Butcher and Low Ki were the other participants. - PWG All-Star Weekend 7, Night 2 (August 31, '08) = Kingston was beaten by Necro Butcher. - CZW Chri$ Ca$h Memorial '08 (September 13) = Team BLK OUT (Kingston, Joker, Ruckus, & Sabian) lost to Team Ca$h (Derek Frazier, Nick Gage, Nate Webb, & B-Boy). - IWA Mid-South Ted Petty Invitational Tournament '08 (September) = Kingston beat Necro Butcher, then fell to Sami Callihan. Drake Younger won the tournament. - CHIKARA Cibernetico & Robin (September 22, '07) = BLK OUT (Kingston, Joker, & Sabian) were beaten by The Colony (Fire Ant, Soldier Ant, & Worker Ant). - CHIKARA Bruised (October 26, '07) = Kingston defeated Tim Donst. - CHIKARA Battle Of Who Could Care Less (November 16, '07) = BLK OUT (Kingston, Joker, & Sabian) lost to Tim Donst & Incoherence. - CHIKARA Chapter 11 (November 18, '07) = Kingston won a "Falls Count Anywhere" Match over Hallowicked. - CHIKARA Two Eyebrows Are Better Than One (January 27, '08) = Kingston beat Shane Storm. - CHIKARA King of Trios Tournament '08, Night One (February 29, '08) = BLK OUT (Kingston, Joker, & Ruckus) received a bye, then defeated The Order of the Neo-Solar Temple (UltraMantis Black, Crossbones, & Hydra) in the first two rounds of the King of Trios '08 Tournament. - CHIKARA King of Trios Tournament '08, Night Three (March 2, '08) = BLK OUT (Kingston, Joker, & Ruckus) beat Team DDT (KUDO, MIYAWAKI, & SUSUMU) and won, via DQ, over The Golden Trio (Helios & Incoherence), before falling in the finals of the King of Trios '08 Tournament to Los Luchadores (Lince Dorado, Incognito, & Pantera). - CHIKARA Grit And Glory (May 18, '08) = Kingston took down Shane Storm. - CHIKARA Young Lion's Cup VI, Night Three (June 15, '08) = In a non-tournament match, Kingston won over Soldier Ant. - CHIKARA Tragedy And Triumph (July 13, '08) = Kingston defeated Lince Dorado. - CHIKARA Vanity And Violence (August 10, '08) = Kingston beat Lince Dorado. - CHIKARA La Loteria Letal (September 6, '08) = Kingston & Shane Storm lost in the first round of the La Loteria Letal Tournament to the eventual winners, Lince Dorado & Jimmy Olsen. - CHIKARA Style And Substance (September 7, '08) = Kingston lost, via DQ, to Lince Dorado. - CHIKARA The Global Gauntlet, Night Two (October 19, '08) = Kingston competed in a "7-on-7 Global Gauntlet" Match, which was won by Claudio Castagnoli. - CHIKARA Cibernetico Begins (November 15, '08) = Kingston competed in the "Torneo Cibernetico" Match, which was won by Equinox. - CHIKARA Armdrags To Riches (November 16, '08) = Kingston fell to Claudio Castagnoli. - CHIKARA Duel And Duality (December 14, '08) = Kingston beat Drake Younger. - CHIKARA Revelation X (January 25, '09) = Kingston defeated Delirious. - CZW Decade of Destruction: 10th Anniversary Show (February 14, '09) = Kingston lost to the CZW World Heavyweight Champion, Drake Younger. - CHIKARA Motive, Means, Opportunity (February 21, '09) = Kingston, Brodie Lee, & Grizzly Redwood took down Sami Callihan & The Order of the Neo-Solar Temple (UltraMantis Black & Crossbones). - CHIKARA King of Trios Tournament '09, Night One (March 27) = The Roughnecks (Kingston, Brodie Lee, & Grizzly Redwood) lost in the opening round of the King of Trios '09 Tournament, falling to Team Uppercut (Claudio Castagnoli, Bryan Danielson, & Dave Taylor). F.I.S.T. (Gran Akuma, Chuck Taylor, & Icarus) won the tournament. - CHIKARA King of Trios Tournament '09, Night Three (March 29) = In a non-tournament match, Kingston defeated Austin Aries. - CHIKARA The Bobliographon (April 26, '09) = Kingston, Brodie Lee, & Grizzly Redwood lost to Incoherence (Delirious, Frightmare, & Hallowicked). - RoH Validation (May 9, '09) = Kingston defeated Ricky Reyes. - CHIKARA Aniversario Yin (May 23, '09) = Kingston took down Create-A-Wrestler. - CHIKARA Aniversario Yang (May 24, '09) = Kingston pinned Claudio Castagnoli. - CHIKARA Young Lions Cup VII, Night Three (August 16, '09) = In a non-tournament match, Kingston fell to Claudio Castagnoli. - CHIKARA Hiding In Plain Sight (September 13, '09) = Kingston & Grizzly Redwood were beaten by The Order of the Neo-Solar Temple (UltraMantis Black & Delirious). - RoH Glory By Honor VIII (September 26, '09) = Kingston fell to Chris Hero. - CZW Severed Ties (October 10, '09) = Kingston was beaten by Sami Callihan. - CZW Night of Infamy 8 (November 14, '09) = Kingston, DJ Hyde, & Drake Younger lost a "Six-Man Elimination" Match to Jon Moxley & The H8 Club. - CHIKARA Three-Fisted Tales (November 22, '09) = Kingston lost a "Respect" Match to Claudio Castagnoli. - CZW Cage of Death 11 (December 12, '09) = Kingston lost a "CZW World Title Show" Match to Jon Moxley. Egotistico Fantastico and B-Boy were the other participants. - RoH Final Battle '09 (December 19) = Kingston won a "Fight Without Honor" Match over Chris Hero. - CZW High Stakes 4: Sky's The Limit (January 30, '10) = Kingston was taken down by Nick Gage. - CHIKARA A Touch Of Class (January 31, '10) = Kingston, Mike Quackenbush, Equinox, & Jigsaw fell to The BDK (Lince Dorado, Tursas, & Swiss Money Holding). - CZW 11th Anniversary Show (Afternoon) (February 13, '10) = Kingston fell to Devon Moore. - RoH 8th Anniversary Show (February 13, '10) = Kingston & Necro Butcher won a "No Rules" Match over Joey Ryan & Erick Stevens. - CHIKARA The Mint Condition (February 27, '10) = Kingston was beaten by Tursas. - CHIKARA A World Of Comforting Illusions (February 28, '10) = Kingston defeated Gran Akuma. - CZW Walking On Pins & Needles (March 13, '10) = Kingston & Drake Younger defeated Notorious Inc (Drew Blood & Devon Moore). - CHIKARA Dead Men Don't Laugh (March 21, '10) = Kingston lost, via DQ, to Lince Dorado. - CZW Swinging For The Fences (April 10, '10) = Kingston & Drake Younger won the CZW World Tag-Team Titles, beating The Best Around. Later on, Kingston, Scotty Vortekz, & Drake Younger lost a "Swinging For The Fences Death" Match to Cult Fiction (Brain Damage, JC Bailey, & Masada). - CHIKARA King of Trios '10, Night Three (April 25) = In a non-tournament match, Kingston took down Christopher Daniels. - CZW Fist Fight (May 8, '10) = Kingston & Drake Younger retained the CZW World Tag-Team Titles, taking down JC Bailey & tHURTeen. - CHIKARA Aniversario Elf (May 23, '10) = Kingston won, via DQ, over Tommy Dreamer. - CZW Lines In The Sand (June 12, '10) = Kingston & Drake Younger stayed the CZW World Tag-Team Champs, defeating Cult Fiction (Brain Damage & Masada). - CHIKARA We Must Eat Michigan's Brains (June 26, '10) = Kingston fell to Bryan Danielson. - CHIKARA Faded Scars And Lines (June 27, '10) = Kingston beat Delirious. - CHIKARA Chikarasaurus Rex: King Of Show (July 25, '10) = Kingston & Tommy Dreamer were beaten by Swiss Money Holding. - CHIKARA Young Lions Cup VIII, Night Three (August 29, '10) = In a non-tournament match, Kingston competed in "The Countdown Showdown", which was won by Johnny Gargano. - CHIKARA Eye To Eye (September 18, '10) = Kingston took down Pink Ant. - CHIKARA Through Savage Progress Cuts The Jungle Line (September 19, '10) = Kingston lost to Ares. - CHIKARA The Dark Cibernetico (October 23, '10) = Kingston won the "Torneo Cibernetico" Match. - CHIKARA Terror In The Neighborhood (October 24, '10) = Kingston defeated Tim Donst. - CHIKARA The Germans (November 21, '10) = Kingston won over Homicide. - CHIKARA Reality Is Relative (December 12, '10) = Kingston beat Tursas. - CHIKARA Chaos In The Sea Of Lost Souls (January 23, '11) = Kingston defeated El Generico. - CHIKARA Caught In A Cauldron Of Hate (February 19, '11) = Kingston took down Johnny Gargano. - CHIKARA Operation Big Freeze (March 12, '11) = Kingston beat Archibald Peck. - CHIKARA Creatures From The Tar Swamp (March 13, '11) = Kingston fell to Claudio Castagnoli. - CHIKARA King of Trios '11, Night Three (April 17) = In a non-tournament match, Kingston took down Akira Tozawa. - CHIKARA Engulfed In A Fever Of Spite (May 14, '11) = Kingston won over Jakob Hammermeier. - CHIKARA Aniversario & His Amazing Friends (May 21, '11) = Kingston defeated Sinn Bodhi. - CHIKARA Aniversario: The Legendary Super Powers Show (May 22, '11) = Kingston beat Chuck Taylor. - CHIKARA The Case Of The Bulletproof Waldo (June 24, '11) = Kingston pinned Colt Cabana. - CHIKARA A Demon In His Pocket (June 25, '11) = Kingston won a "12 Large: Summit Tournament, Block B" Match over UltraMantis Black. - CHIKARA The Evil That Lies Within, Part 4 (June 26, '11) = Kingston defeated Hieracon. - CHIKARA Chikarasaurus Rex: King Of Sequel - Night One (July 30, '11) = Kingston beat Adam Cole. - CHIKARA Chikarasaurus Rex: King Of Sequel - Night Two (July 31, '11) = Kingston won a "12 Large: Summit Tournament, Block B" Match over Jigsaw. - CHIKARA Martyr Yourself To Caution (September 18, '11) = Kingston won a "12 Large: Summit Tournament, Block B" Match over Fire Ant. - CHIKARA Small But Mighty (October 7, '11) = Kingston defeated Kobald. - CHIKARA Klunk In Love (October 8, '11) = Kingston, Sugar Dunkerton, Mike Quackenbush, & Green Ant fell to The BDK (Tim Donst, Jakob Hammermeier, Delirious, & Tursas). - CHIKARA Maiden Flight Of The Great Condor (October 30, '11) = Kingston lost a "12 Large: Summit Tournament, Block B" Match to Vin Gerard. - CHIKARA High Noon (November 13, '11) = Kingston won the first CHIKARA Grand Championship, winning in the "12 Large: Summit" finals over Mike Quackenbush. - CZW Cage of Death XIII (December 3, '11) = Kingston & Homicide fought to a No-Contest with Philly's Most Wanted. - CZW An Excellent Adventure (January 14, '12) = Kingston defeated Joker. - CHIKARA A Death Worse Than Fate (February 25, '12) = Kingston, Greg Iron, & 3.0 lost to The Batiri (Kobald & Obariyon) & The BDK (Tim Donst & Jakob Hammermeier). - CHIKARA Caught In The Spider's Den (February 26, '12) = Kingston retained the CHIKARA Grand Championship, defeating Vin Gerard. - CHIKARA Green Ice (March 24, '12) = Kingston took down Ophidian. - CHIKARA It's How You Play The Game (March 25, '12) = Kingston stayed the CHIKARA Grand Champion, beating Brodie Lee. - CHIKARA I'll Be A Mummy's Uncle (April 14, '12) = Kingston & The Colony (Fire Ant, Green Ant, & Soldier Ant) fell to GEKIDO & The Swarm (assailANT & combatANT). - CHIKARA Hot Off The Griddle (April 28, '12) = Kingston kept the CHIKARA Grand Championship, winning, via DQ, over Kevin Steen. - CHIKARA The Contaminated Cowl (April 29, '12) = Kingston defeated 17. - RoH Boiling Point '12 (August 11) = Kingston lost to the RoH World Heavyweight Champion, Kevin Steen.